Yep, we're still on chocolate! 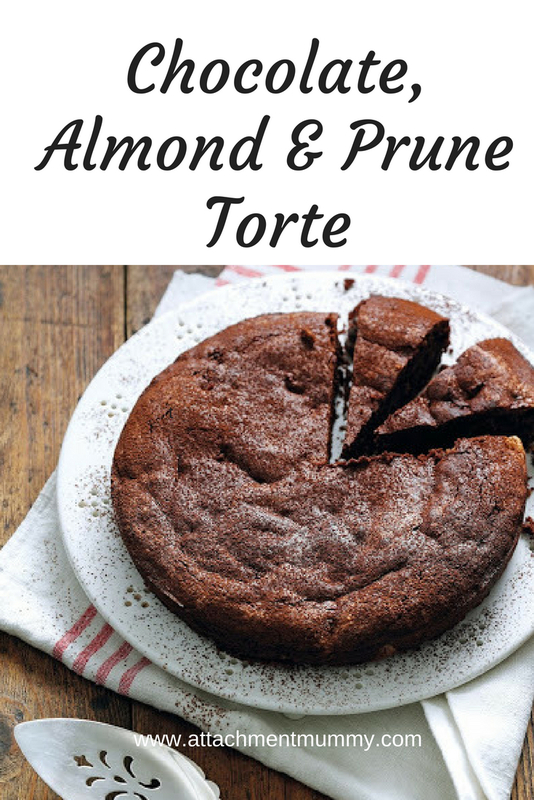 The perfect cake-dessert to see you though Easter weekend, this gluten-free torte is rich and fruity and perfect for entertaining friends and family this weekend. 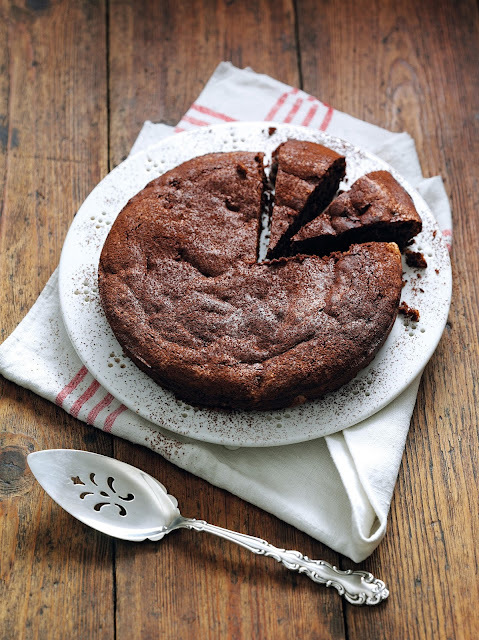 Serve with double cream or crème fraîche for dessert, and strong coffee for an elevenses treat. 1. Soak the prunes in the brandy for 30 minutes. 2. Preheat the oven to 180°C. Grease a 20-cm springform tin with butter and line the base with greased greaseproof paper. 3. Beat the egg yolks with the caster sugar on high speed until thick and creamy. 4. Place the chocolate and 2 tablespoons of water in an ovenproof bowl, sitting on the rim of a small pan of simmering water. Stir the melting chocolate and water together until smooth. Slowly incorporate the butter, a few pieces at a time, to form a smooth, shiny liquid. 5. Pour the melted chocolate mixture over the whisked egg yolks, and gently fold together using a large metal spoon. 6. Sift the ground almonds and cornflour over the chocolate mixture, add the soaked prunes and brandy, and gently fold through. 7. In a clean, dry bowl, whisk the egg whites until they form firm peaks that do not wobble when the bowl is shaken. Stir a large spoonful into the chocolate mixture, then gently fold in the remaining egg whites. 8. Pour the mixture into the prepared tin, and bake in the centre of the oven for 35–40 minutes until the centre of the torte is just set. Leave to get cool in the tin on a wire rack. 9. Run a sharp knife around the edge of the torte, remove the tin and lining paper, and transfer the torte to a serving dish. This looks a really tasty cake.